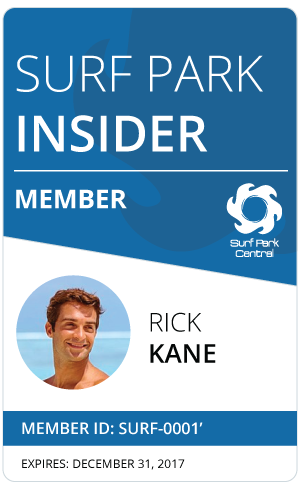 Surf Park Central | Surfing, A case of Real vs. Fake? What is surfing? Is it the act of standing on the board and riding the wave? Is it driving around in circles trying to find the uncrowded spot, only to end up surfing knee high, crowded Swamis? Paddling, sitting on our boards and looking out to the horizon is how we spent 90% of our water time. So, maybe that is surfing. On the other hand, a lot of us spend most of our time traveling around the world looking for uncrowded, or new waves. The point is that surfing means a lot of different things to a lot of different people. Wave pools were around before Kelly’s, but once he introduced us to his Leemore creation it changed surfing forever. Keyboard warriors sat behind their MacBooks at their desk jobs unleashing a fury from their ‘purist’ standpoint. “This isn’t surfing!”, “You’ve f***ed us!”- These are the guys that are just ‘so connected’ with mother nature. They’re also the guys that mean mug you when you paddle out or burn you if they don’t recognize you. Is this just a reflection of their true feelings inside, jealousy and desire, to surf a wave that requires an invite? Albeit, they do have somewhat of a point. Surfing in a pool isn’t ‘surfing’ as we’ve known it. But, is snowboarding in a park not considered snowboarding just because you’re not blasting powder turns? No, that is still snowboarding, and this is still surfing. Sure, Kelly’s wave is on the WSL Tour next season, but no one is replacing the ocean with a pool. Even Kelly has said that wave pools are just another branch of the tree. So if your climbing this tree all you have to do is go around this particular branch. In the end, surfing is really a combination of all things mentioned above, checking it, getting skunked, paddling for 45 minutes only to take off on a closeout and chasing waves all around the world with seemingly no end or goal. Surfing is more of an idea, a ‘lifestyle’ and if you can supplement your downtime with surfing a barreling, absolutely perfect man-made wave somewhere in the middle of America, we ask what is so wrong with that? If Jerry can surf it so can you!